First of all, use cold water and not hot water when using the garbage disposal. Cold water will help it run effectively and not overheat the unit. Hot water can cause fat to melt and then later solidify again causing blockage in the drain. When using the garbage disposal you should only feed a little food waste in it at a time. Make sure that utensils do not fall into the garbage disposal. Run the disposal until the food has been shredded completely, turn it off, and allow water to keep running to make sure the pipes are flushed clean. 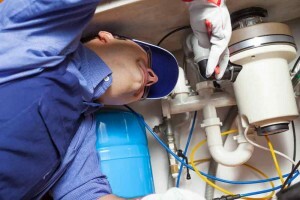 Keep the garbage disposal working effectively for as long as possible. When it comes to bones, read the manual. Some units are different from others. If you have any doubts about it, do not put bones in the garbage disposal. Typically, higher quality units will be able to handle bones. Turn the unit off when using it only if the water is still running. Keep in mind that not everything should be put in the garbage disposal. Do not put the following items in the unit: hard shells from crabs, shellfish, and shrimp, hard bones, popcorn kernels, celery, banana peels, artichokes, corn cobs or corn husks, potato peelings, fruit pits, onion skins, coffee grounds, egg shells, rice, pasta, grease, and any trash item like rubber bands, paper, and cigarette butts. Run the garbage disposal regularly. When you run the garbage disposal regularly, it will prevent odor problems and ensure that it will continue to work effectively. A good rule of thumb is to run the disposal every single time you put food in the sink and anything goes into the unit. Time to get your Annapolis home garbage disposal ready for the holiday season. Call Heidler Plumbing at (410) 268-7191 today.